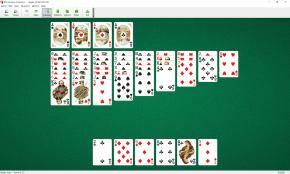 Raglan Solitaire uses 52 cards. You have 9 tableau piles. 7 cards are dealt face up to the first 3 piles. 6 cards are dealt to the 4th pile and so on. 1 card is dealt to the last pile. You also have 6 open cards below (the reserve). Aces are removed from the deck to form 4 foundations. All top cards of tableau piles and all reserve cards are available to play. You can move any single card to tableau pile from another pile, reserve or foundation piles, in order of highest to lowest, with alternating suit colors. Only one card at a time can be moved from pile to pile unless there are empty piles. 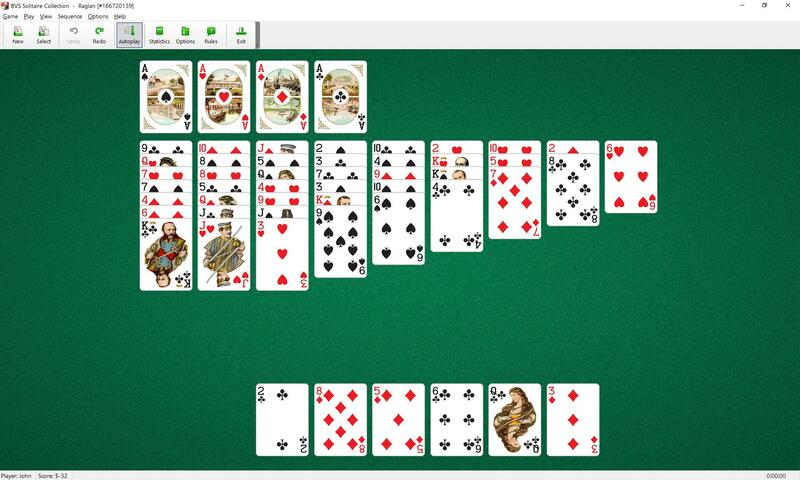 When any tableau piles are empty you can fill the space with any available single card. You should try to free up as many tableaus as possible. This will help you to win.